Timber Panda HD (Free) by Anarchy Arcade Free Games & Apps is a reflexive arcade game that proceeds as quickly as you allow it to. 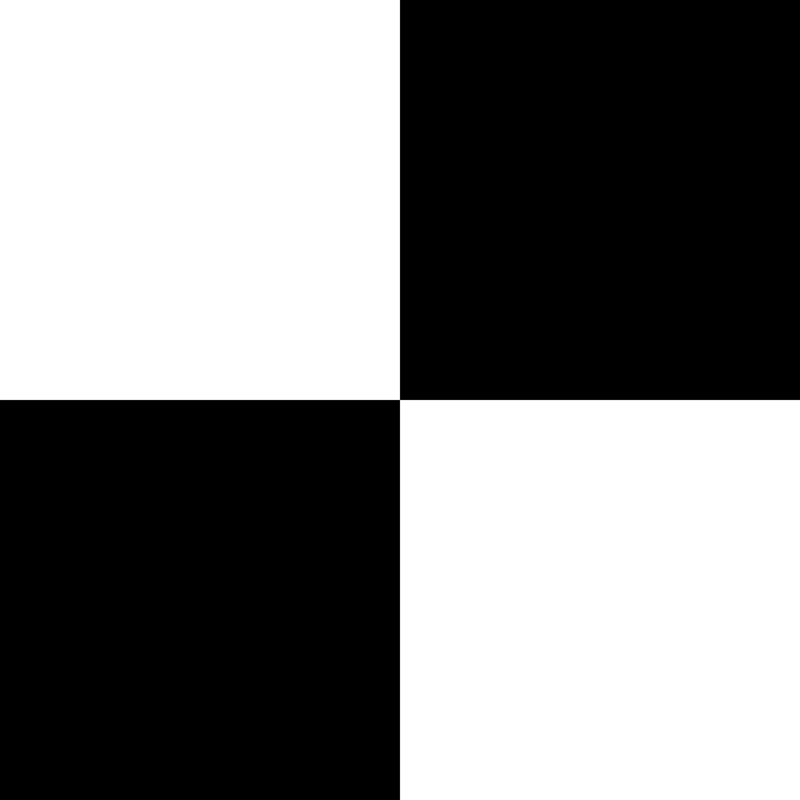 You know the recently-gone-viral Piano Tiles game? Timber Panda is similar in that you have to use your reflexes to make the game proceed vertically down the screen, but instead of a checkerboard, you’ll find a cute panda in this case. 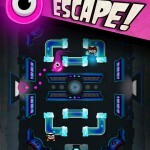 Top that off with graphics that are a tad Flappy-ish, and you’ve got the potential for a great little arcade game that users could get addicted to easily. 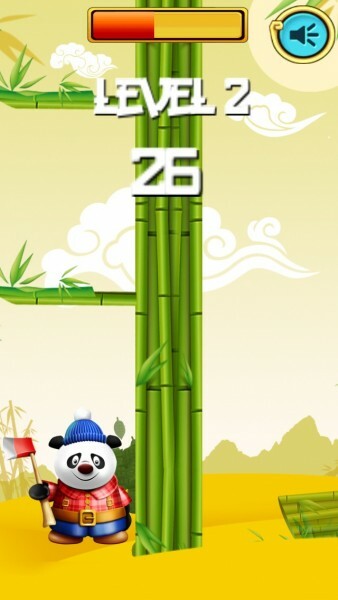 As a panda sets out to cut down an infinite bamboo tree, you must guide his chopping actions to make sure that he doesn’t get hit by any branches. The decision you have to make is simple; just pick whether he should stand on the left or right side of the tree. 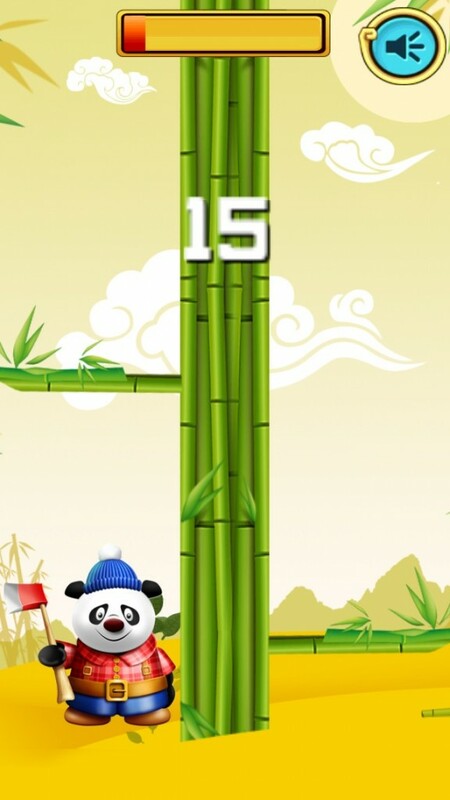 Much like you have to tap within one of four columns in Piano Keys, Timber Panda involves tapping on the left and right side of the screen to make the panda chop from that side. With every chop bringing the tree down, the faster you chop, the quicker the tree will sink into the ground. The goal of the game is to see how many chops you can fit within the time limit, which you can gauge based on the time meter at the top of the screen. There are also multiple “levels” in the game as you proceed, although these don’t seem to have much meaning. 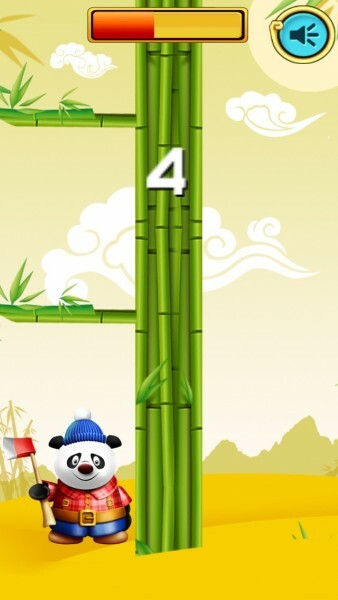 Along with being a basic, yet addictive game where you’ll want to keep playing over and over again to beat your high score, Timber Panda is also appealing to the eyes and the ears. 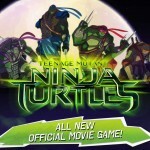 The game’s music, combined with the chopping sound effects, make it feel very unique, and the cartoon graphics are also fitting. That said, the game isn’t perfect either. 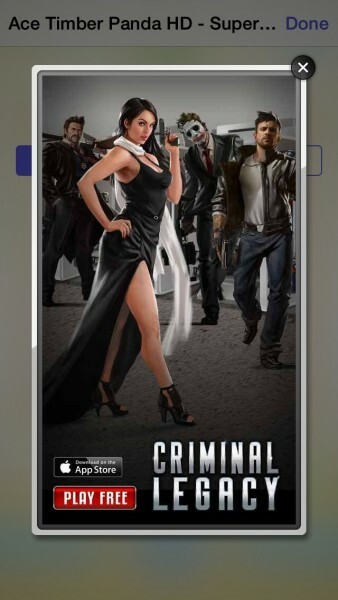 Since it’s a free download, there are ads that appear in between games – or at least you’d think they’re supposed to. This wouldn’t normally be a problem, but on rare occasions, the fullscreen ads even came up while I was playing, sending me to the App Store after accidentally tapping on them. That’s not cool at all. 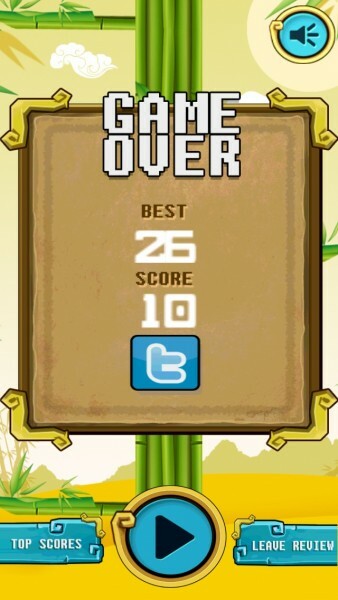 To kill some time and stress your reflexive abilities, there’s no harm in giving Timber Panda a try. 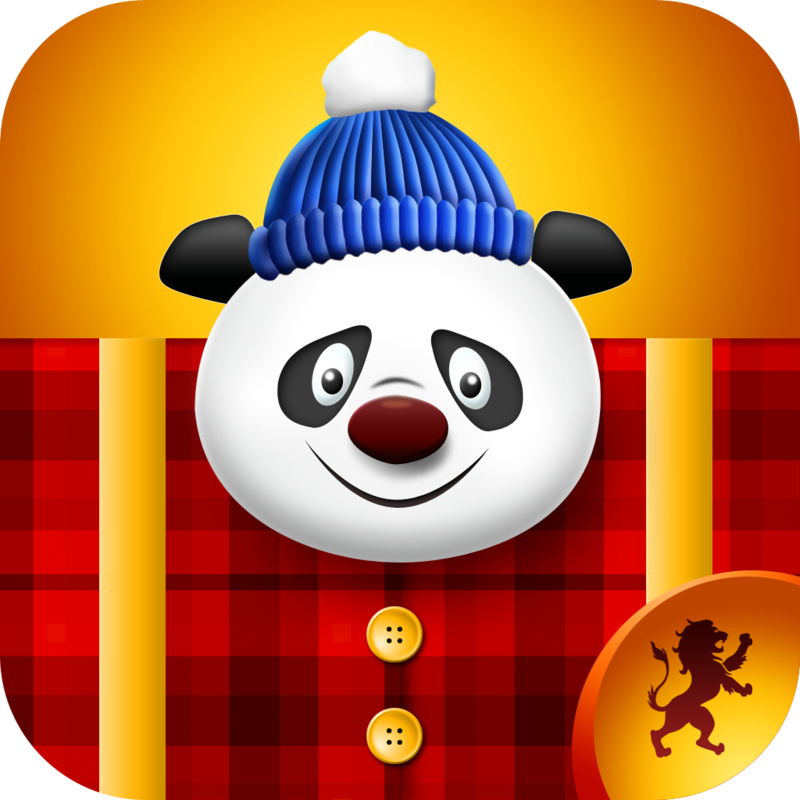 Being a great game for any gamer or non-gamer of virtually any age, the universal Timber Panda HD is available on the App Store for free. My high score is sitting at 26. 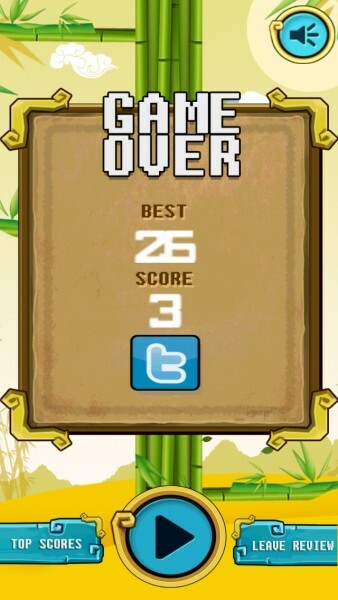 Think you can beat me?